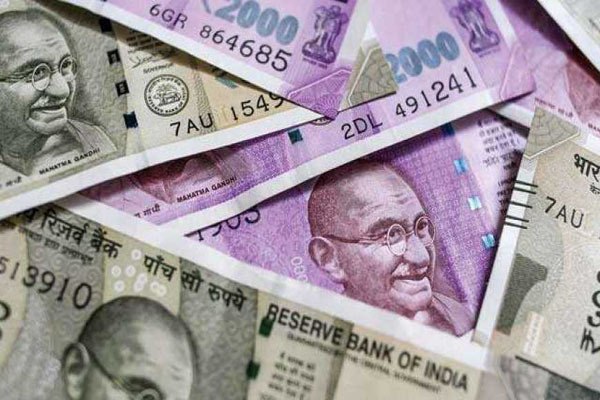 Mumbai(PTI): The rupee strengthened by 9 paise to 65.09 against the US dollar in opening trade today on fresh selling of the greenback by exporters. The dollar weakened against other global currencies as China imposed extra tariffs on US products, escalating a dispute between two of the world’s biggest economies, and supporting the domestic unit here, a currency dealer said. On Wednesday, the rupee had ended 21 paise lower at 65.18 against the US currency on fiscal deficit concerns. Forex market remained shut yesterday due to annual accounts closing. The market also remained shut on Thursday and Friday for Mahavir Jayanti and Good Friday, respectively. Meanwhile, the benchmark BSE Sensex dropped 96.77 points, or 0.29 per cent, to 33,158.59 in early trade today.